I’ve been trying to make our meals a bit more interesting so everytime I go to the market I purchase an ingredient I don’t always have in the pantry. 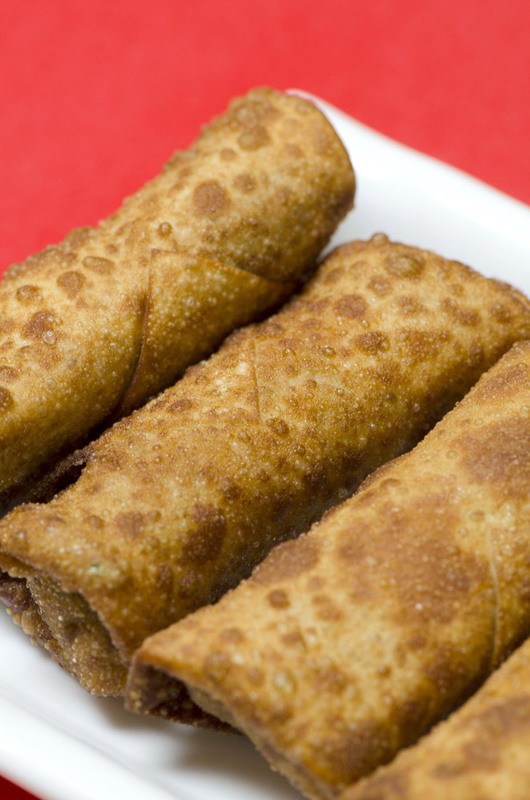 Lately it has been Asian products which lead to egg rolls, stir-fries, dumplings, and so on. Some fillings for egg rolls are pre-cooked and you could certainly give this mix a quick stir-fry, but I think it is fine to have some crunchy vegetables in the fried roll. Steve just likes to doctor his up with spicy mustard, but I like a pungent dipping sauce. Combine the chicken with the mushrooms, carrot, and snow peas in a medium mixing bowl, tossing to combine. Stir the soy sauce, oyster sauce, and orange juice together in a small bowl. When blended, add to the chicken mixture, tossing to coat. Working with one piece at a time, lay an egg roll wrapper out on a clean, flat work surface so that one corner is facing you. Place about 1 ½ tablespoons of the filling in the center of the wrapper, pushing it out slightly without getting near the edge. Using your fingertip, spread a bit of the cornstarch mixture around the 3 edges not facing you. Fold the point of the edge facing you up and over the filling and then fold the 2 opposite sides in and over; then, roll up the wrapper to totally enclose the filling. When you have made the number of egg rolls you want to fry, preheat the oil to 360°F on a candy thermometer. 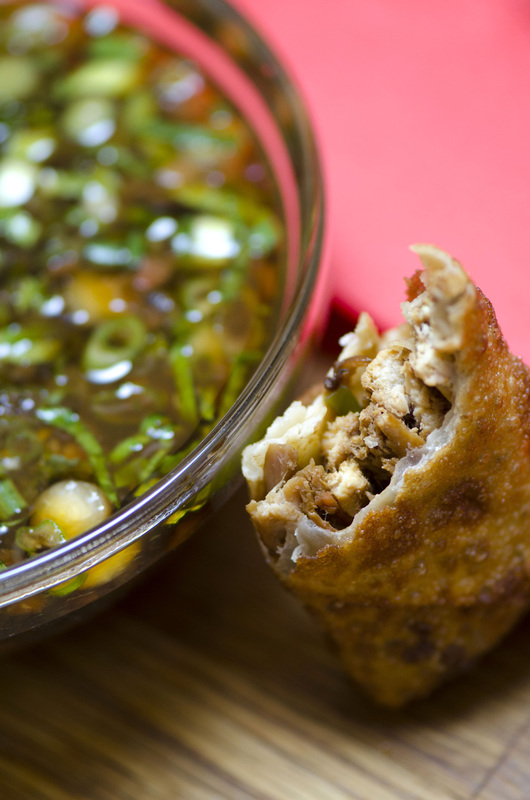 Using a slotted spatula, carefully transfer the egg rolls, a few at a time, into the hot oil. Deep-fry for about 4 minutes or until golden brown. 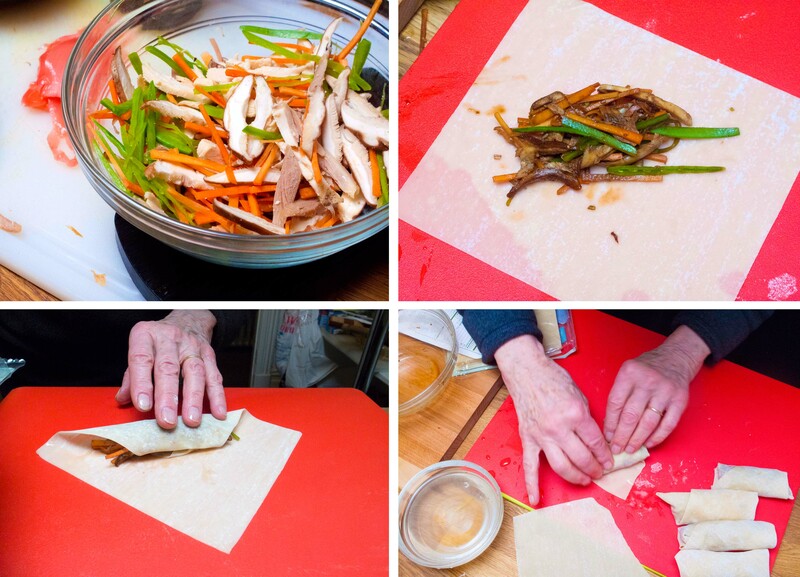 Using tongs, transfer the egg rolls to a double layer of paper towel to drain. Serve hot with Spicy Dipping Sauce. 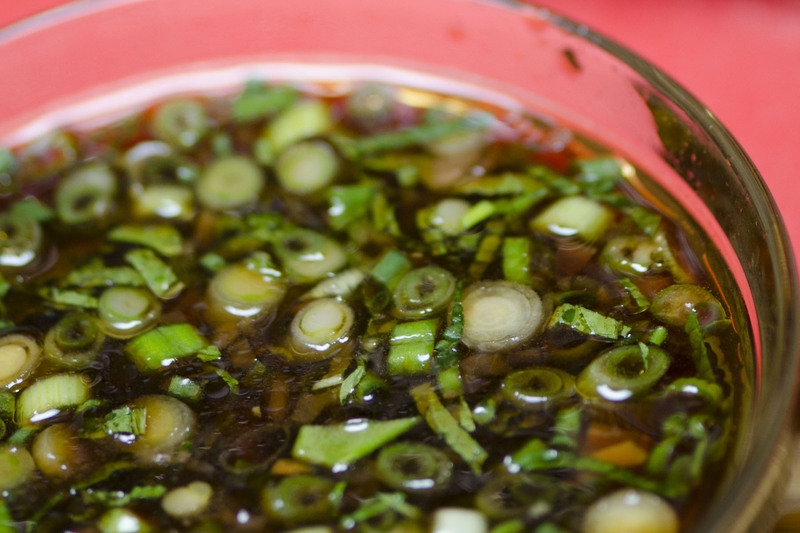 Combine the soy sauce, vinegar, orange and lime juices, sesame oil, and fish sauce in a small mixing bowl. Stir in the scallions, garlic, and chile. Serve with egg rolls or dumplings. Can I hit “Like” 20 times over? These looks like heaven! Save some for me. Always on the menu for you!